#RomanticIdea Summer Blog Exchange ~ Jack Interviews Author Kathleen Rowland! Kathleen Rowland’s summertime #RomanticIdea to win any guy over: Choose an activity that gets you into his element. How about sailing or kayaking? Let him show you how it’s done! Beach the craft and pull him in close. The experience of being out and about in public makes it hard for him to wait for the trip home… to have you. Special thanks to author Katherine Bone for inviting me here today. Jack: Welcome aboard Lady Katherine’s ship, Lady Kathleen! I especially like your summertime motto: Let him show you how it’s done! Winks. Hopefully, your pirate has a compass that points to what you want most, eh? Where does your compass point to? Kathleen: North. I come from a line of storytellers, but I wanted to succeed as a writer of fiction. Jack: North, eh? I haven’t been north since Barbosa sailed to World’s End to bring me back from the Locker. It was a good thing I had pieces of eight in me pocket. Significant treasure, to be sure. If you could have eight pieces with you at all times, what would they be? #RomanticIdea Summer Blog Exchange with Dariel Raye! Author Dariel Raye joins Rogues, Rebels & Rakes with her #RomanticIdea as part of the Summer Blog Exchange started by Lady Tina Gayle. Welcome aboard, Lady Dariel!!! TRR Sizzling Summer Reads & Story Finds Event! ARRRGH, me hearties! I’m celebrating that MY LORD ROGUE is being displayed on the Party Event Page at The Romance Reviews Sizzling Summer Reads Event from June 21 to 25. Woot!!! Stop by and take a gander, won’t you? 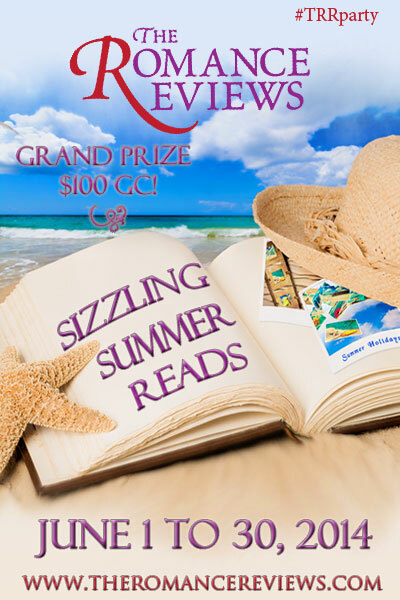 I’m also happy to announce the winner of my Sizzling Summer Reads Event TRR giveaway was Joy Aleman. Woo-hoo! Congrats, m’lady!!! MY LORD ROGUE will also be featured on the Summer Reads Event at Story Finds Theme Week between June 22 – June 29th. Make sure to stop by and enter the contest for a copy of MY LORD ROGUE. I’ve got family home visiting and the summer if off to a roaring start! Here’s hoping you are sailing off to riotous adventures too.